Welcome to the January edition of Spotlights & Insights, my monthly wrap-up of the best resources I’ve come across this month on performing and wellness. I’ve been playing around with the format of these post for the past few months, and while you may not notice anything different, I’ve been trying to make this space little more fun and casual – easier for me to get my thoughts out there and easier for you to find the resources you need. Much of this has grown out of a re-examination of what I value about this blog and also what materials, exercises and resources I hope are of value to you as a reader. For me, this has meant removing some of the pressure I felt from having to stick to a format that wasn’t working for me anymore. It was removing much of the joy I have in writing and blogging and replacing it with a lot of unnecessary stress – especially since it was a structure I’d imposed upon myself. It was also rubbing up against another value that’s important to me – limiting my time on technology. This had been getting a bit out of hand for me over the past few months, and the added pressure I’d placed on these posts was definitely contributing to that, as it was making them take longer to write. I’ve found that reigning in my screen time, even a little bit, has really helped my personal wellness, so it was important to me to stick with it. Essentially, I assessed my values and then adjusted my actions to align with them. This is also what singer songwriter Jewel was talking about in the interview I blogged about last week – following your values and aligning your life with them as a pathway to better personal health and wellness. I loved the practice she shared of reviewing your values at the end of each day, and then committing to one action you can take the next day to help you live out any values you feel you fell short on. It’s really me feel connected to the things that matter most to me and helped guide me in the choices I’ve made in my work (and life!). I totally recommend trying this practice out. I included an outline of it in my previous blog post. If you haven’t had a chance to read it yet, you can find a link below. Enjoy the links below – it’s one of my favourite lists I’ve put together so far! I hope they help you in your performing life – to stay connected with yourself, as you get out there and show them who you are! If you are working with a coach, director, instructor or teacher, this is what your relationship would look like! 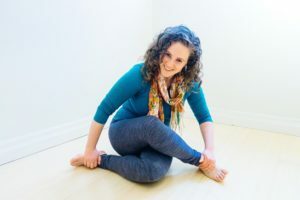 For anyone exploring a movement practice or working with a movement coach – a great read about client centered coaching from one of my Instagram favourites, movement coach Chandler Stevens. Liked my last blog post featuring Jewel? Then check out the rest of the Sounds True Mindfulness & Meditation Summit recordings to learn more about how other performers, teachers and leaders have used and grown with these practices – including an interview with another favourite from my youth, Alannis Morissette. An excellent article on anxiety, including the neuroscience behind what causes anxiety and practical advice on how to manage it in your own life – hint, it talks about the benefits of meditation! ???? Attention all gents! An awesome web series from the amazing Justin Baldoni (of Jane the Virgin fame…) and Wayfarer Entertainment about culture and masculinity. A series that perfectly blends, art, activism and wellness. Definitely sparks both self-reflection and conversation! ICYMI – Featured on the blog last week! From the one and only, Jewel – an amazing online resource of scientific insights, personal stories and effective practices to help you grow your resilience, happiness, and personal wellness. My latest blog post on a recent interview I heard with on Jewel on her experience with mindfulness and meditation. It includes an awesome exercise she uses to help her stay connected to her values in both her life and performing career.